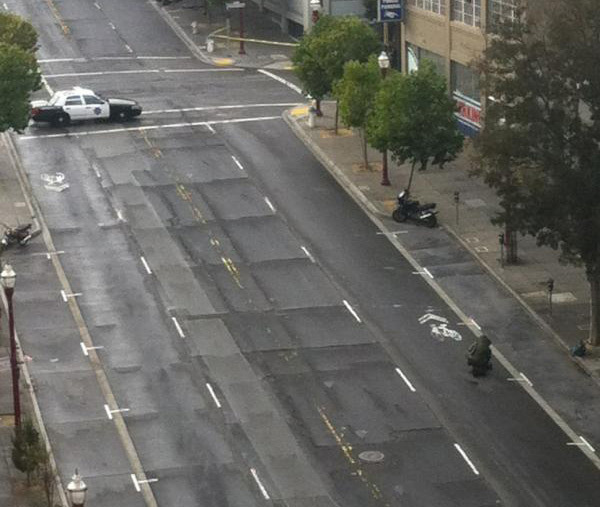 Reports from the Financial District near Jackson Square say the SFPD Bomb Squad has blocked off Broadway between Battery and Sansome Streets around 4 p.m. this afternoon. The police department tells SFist the call was following up on reports of a suspicious backpack near the immigration office at 250 Broadway. Update: Bay City News, via the Appeal, reports the suspicious duffel bag found on the scene was deemed harmless around 5 p.m.